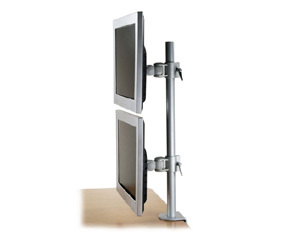 If you want you're LCD on a more fixed display use a LCD Bracket. 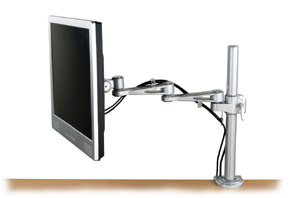 For a flexible single LCD display use an adjustable LCD Arm. 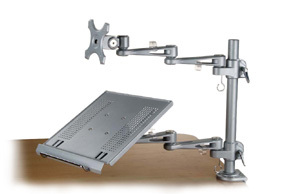 Add an additional Adjustable Notebook Arm to display a notebook or laptop.